The Sony Xperia L3 smartphone has been approved by the Federal Communications Commission (FCC). 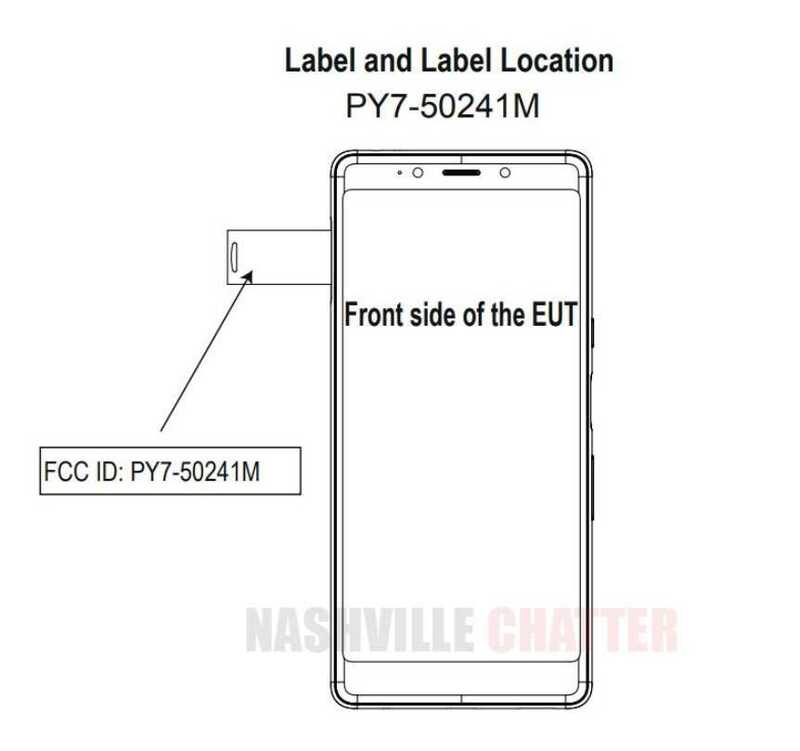 The FCC documents with FCC ID PY7-50241M have a schematic label of the frontside of the phone which resembles with renders of the Xperia L3 phone that was shared by popular tipster OnLeaks in October. Also, the exact size of its display has been also revealed through FCC certification. The display of the newly FCC certified Sony phone measures 165.6 mm diagonally which means that the handset will be featuring a 5.73-inch (145.6mm) display. OnLeaks had also claimed that the Xperia L3 will be featuring a 5.7-inch screen. In the label image, the upper bezel of the Xperia L3 features a selfie camera, an earpiece and a few sensors. The thick bezel of the phone is expected to feature the brand name of the company. The right edge of the phone is quite crowded since it features a power key, a fingerprint scanner and a volume rocker. The SIM tray is present on the left edge of the phone. Nothing else has surfaced through FCC filings of the Xperia L3. Like the predecessor Xperia L2, the upcoming Xperia L3 smartphone will be packed with low-end specs. The CAD renders of the Xperia L3 that had surfaced in October revealed that it measures 153.8 x 71.9 x 9 mm which translates to a diagonal measurement of 169.7 mm whereas the FCC documents have slightly different dimensions mentioned in the listing as seen below. The 145.6 mm display diagonal translates to 5.7-inch display whereas the 165.6 mm doesn’t match with the dimensions of the phone shared by OnLeaks. For the overall display diagonal to be 165.6 mm, the dimensions should measure about 150.1 x 70 mm or 149.1 x 72.1 mm but that’s deviating from the usually accurate leaker’s info by a good 4-5 mm. We have to wait until release to confirm the exact dimensions. Xperia L3 is expected to support an aspect ratio of 18:9. However, the display is surrounded by thicker bezels. The bottom edge of the phone has a microphone, a loudspeaker and a USB-C port. A 3.5 mm audio jack is available on the top edge of the smartphone. The low-end Xperia L3 will be sporting a polycarbonate rear shell. An LED enabled vertical dual camera setup is present on the top-left corner of its rear. Probably, Sony may announce the Xperia L3 along with Xperia Xperia XA3 and Xperia XA3 Ultra at the Consumer Electronics Show (CES) tech expo in February 2019.